Hawaii's STICKY RICE... Is It Good for You? 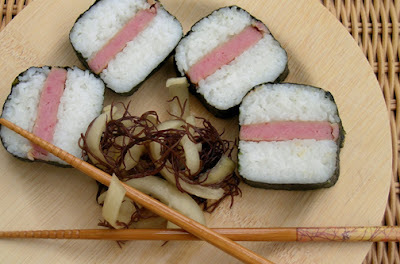 The Hawaiian culture has a love affair with two scoops of sticky rice, Spam Musubi, Jook (Chinese rice porridge), Onigiri (Japanese rice balls), Fried Rice, Mochi Rice Pudding, etc., all of which are made from glutinous sticky rice, which comes in short and long grains. It's called sticky rice because of its glue-like texture. 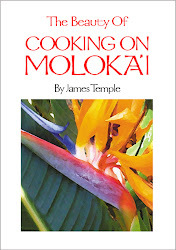 Sticky rice is a staple here on the Hawaiian island of Moloka'i. Local families buy sticky rice in large 20 pound bags because it's cheaper in larger quantities, and rice keeps their families fed, but is all that rice good for you and your family? According to the United States Department of Agriculture, a 1 cup serving of sticky rice contains 169 calories, or about 8 percent of your calories on a 2,000 calorie diet, and almost 37 grams of carbohydrates. Between 45 percent and 65 percent of your daily calories should come from carbohydrates. Nearly all of the calories in sticky rice are from carbohydrates. Your ideal carbohydrate intake depends on your activity level and health status. For example, training for a marathon requires you to consume a higher percentage of carbohydrates. If you have diabetes, your health care provider may suggest sticking to the lower end of the range. Native Hawaiians, Pacific Islanders, and Filipinos are more than twice as likely to be diagnosed with diabetes in comparison to other ethnic groups in Hawaii according to the U.S. Department of Health. A healthy meal plan for people with diabetes is generally the same as a healthy diet for anyone – low in saturated and trans fat, moderate in salt and sugar, with meals based on lean protein, non-starchy vegetables, whole grains, healthy fats and fruit, according to the American Diabetes Association. Sticky rice has negligible amounts of other nutrients and is not a good source of fiber, vitamins or minerals. At least half of the grains you eat each day should be whole grains, grains like short-grain brown rice, wild rice mixed with brown rice, black rice, red rice, barley, corn, oats, quinoa, farro, etc. There are so many healthy whole grain choices other than refined grains like sticky rice. 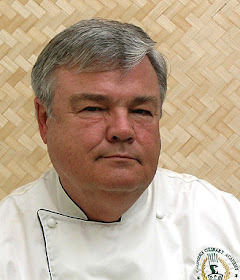 After living in Hawaii for 14 years, I realize that no matter what statistics say, locals will continue eating large amounts of sticky rice, and that's the problem. Just like almost everything else we eat, sticky rice should be eaten in moderation. If you are a smart cook, serve lots of fruits, vegetables and fish alongside your rice, providing the vitamins and minerals your family needs. This beautiful side dish is a great way to use Japanese kabocha squash. Kabocha is very common here in Hawaii. It is a hard squash, has knobbly-looking skin, is shaped like a squat pumpkin, and has a dull-finished, deep green skin and an intense yellow-orange color on the inside. 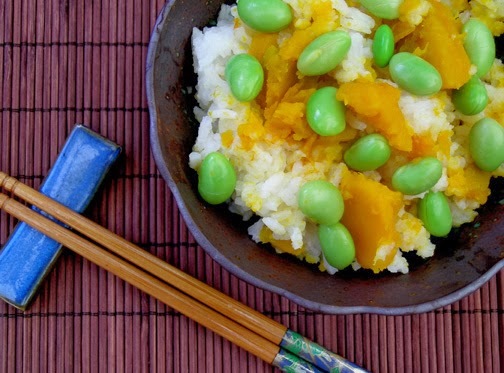 The sweet squash flavors the rice, and the edamame (soy beans) not only tastes wonderful, but adds a nice contrast to the dish. Serve with chicken, pork, or fish. Put rice in a bowl. Wash and pour water out, then repeat 2 more times. Place rice and water in a heavy medium sized pot. Let it soak for 30 minutes. Meanwhile peel and cut the squash (I like to use a serrated bread knife). Set the squash aside. Just before cooking the rice, add salt and sake and stir. Add the cut Kabocha squash to the rice and bring everything to a boil on high heat without lid. When it reaches the rapid boil, put the lid on and reduce heat to simmer for 15 minutes. Turn off the heat and let the pot stand for 10 minutes (don't open the lid.) Fluff the rice, and cooked squash, with a spatula (the squash will be so soft that it will be mashed a little bit, but that's OK.) Garnish with the cooked edamame. Makes 4-6 servings. Cook rice according to package directions. Stir in remaining ingredients. Place in ungreased 9 inch square baking dish. Preheat oven to 350˚F. Bake, covered, 20 minutes. Makes 4 to 6 servings. 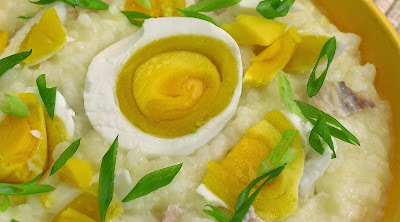 Also known as Chinese Congee, a chicken rice soup, sometimes garnished with Chinese salted duck egg. Cover chicken with water, add ginger, soy and salt, bring to boil. Reduce heat. Simmer for 1 hour until tender. Reserve broth. Remove bones from chicken. Cut chicken into 1 inch pieces. Place rice in pot with 10 cups of chicken broth to which soy and ginger has been added. Bring to a boil. When boiling, reduce heat to low. Cook for at least an 1 hour, partially covered, stirring frequently. Soup is done when it reaches a porridge-like consistency. Remove crushed ginger. Add minced green onion, more soy sauce and crushed red pepper as desired and serve. Note: You can also garnish Jook with Chinese salted duck eggs (recipe), chopped bok choy, chopped watercress, chopped spinach leaves, or Chinese parsley (cilantro). Also turkey or pork works well in this recipe instead of chicken. Makes 8 servings. Cut the pineapple in half lengthwise with green top. Scoop out the fruit, saving the two pineapple halves to use as bowls to serve the rice in. Chop the pineapple fruit into bite sized chunks, removing the tough core. Put the fruit in a bowl and add the shallots, jalapeno, ginger, green onion and cilantro. Add a pinch of salt to bring out the juice. mix and set aside. In a wok, over high heat, add oil, and stir fry the shrimp for 2 minutes or until just pink. Remove the shrimp with a slotted spoon and set aside. Stir fry the garlic a minute or so until golden brown, but not burned. Add the cooked jasmine rice, and stir thoroughly until slightly toasted. Add the fish sauce and sugar, and continue stirring. When the rice is heated through, add the pineapple mixture and cooked shrimp, and stir until thoroughly heated through. Pour the mixture into the pineapple shells, garnish with cilantro leaves and serve as a side dish. Makes 6 servings. 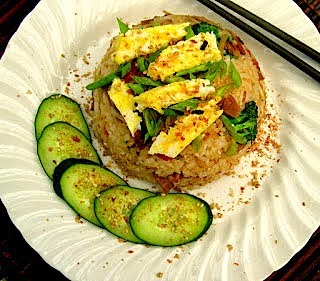 Potluck Fried Rice can be any combination you like, whatever you have in your refrigerator. This is how fried rice started in China, throwing together whatever you happen to have and making a delicious meal out of it. Most of the work is in the preparation. The cooking only takes minutes. In a wok on low heat, scramble eggs in a little canola oil to make a small flat omelet like cake. Remove and cut omelet into 1/2" strips and set aside. Add a little more oil to the wok and turn the heat up to medium-high, add the roast pork strips. Cook and stir for a minute or so, then add one teaspoon each of oyster sauce and Tamari soy sauce. Cook and stir one minute more. Remove the pork and set aside. Add half the green onions, garlic, celery, broccoli, bell pepper, and bean sprouts to the wok. Toss, then season with 1 tablespoons of oyster sauce, one tablespoon of Tamari soy sauce, and one teaspoon sesame oil. Stir-fry for 2- 3 minutes, then remove. Add a little more oil to the wok and the cooked rice. Season the rice with 2 to 3 tablespoons of Tamari soy sauce. Stir-fry the rice until heated through. Now add the pork and vegetables back into the wok with the rice. When well mixed and hot, you are ready to serve. Pack the rice into a small bowl like a cereal bowl. Put your serving plate on top of the bowl and carefully turn it upside down so the bowl is now on top of the plate. Remove the bowl for a rounded mound of fried rice. Garnish the top of the rice mounds with the egg strips and the other half of the onions. Sprinkle sesame seeds or furikake on top. Arrange thin slices of cucumber around the fried rice and sprinkle seasoned rice vinegar on top of the cucumbers. Sprinkle more sesame seeds on top of the cucumbers and the plate. Makes 6 servings. Note: Adding shrimp to this combinations of flavors would be a good thing, I just didn't have any when I put this dish together. Whisk together soy sauce, mirin, sugar, cornstarch, vinegar, and red pepper flakes in a small, nonreactive bowl; set aside. Heat 1 tablespoon of the oil in a large frying pan over high heat. When it smokes, add tofu and cook until golden brown on all sides, about 3 minutes. Remove to a plate and set aside. Reduce heat to medium, add remaining 1 tablespoon oil, shallots, and garlic and cook until starting to brown, about 1 minute. Add snow peas and sesame seeds and cook, stirring frequently, until peas are bright green, slightly softened, yet still crisp, about 5 minutes. Add reserved tofu and soy sauce mixture and cook just until tofu is warm and sauce has thickened slightly, about 1 minute more. Serve immediately over steamed rice. Makes 4-6 servings. the Inland Sea in Japan. Cut the cooked octopus into small bite sized pieces. Combine all the ingredients and simmer in a tightly covered pot for 18 minutes, or until there is no liquid left in the pot (it helps to add a weight to the top of the lid to avoid loss of steam, or use a rice cooker). After the rice is done, let sit for 10 minutes, then uncover, remove and discard kombu, and stir gently with a rice paddle or spoon. Serve in small bowls garnished with freshly chopped shiso leaves. Makes 4 servings. Place beans in Dutch oven (do not cook). Saute onion and green bell pepper in 2 tablespoons hot oil over medium-high heat in a large skillet 7 to 10 minutes or until onions are tender. Stir in garlic, remaining 1 1/2 teaspoons salt, and ground black pepper; saute 1 minute. Add onion mixture, wine, and next 4 ingredients to bean mixture in Dutch oven. Cover and cook, stirring occasionally, 20 minutes. Remove from heat; remove and discard bay leaf. Cover and let stand 5 minutes. Drizzle beans with remaining 1 tablespoon olive oil. Serve over Garlic Rice, and garnish, if desired. Press garlic cloves gently with side of a knife until lightly crushed but still whole. Saute garlic cloves in 2 tablespoons hot oil in a large saucepan over medium-high heat 3 to 5 minutes or until garlic is golden brown; remove and discard garlic. Add rice, and saute 1 minute. Stir in 3 1/2 cups water and salt; bring to a boil. Cover, reduce heat to low, and simmer 25 minutes or until rice is tender. Do not uncover rice. Remove from heat; let stand 5 minutes. Drizzle rice with remaining 1 tablespoon oil, and fluff with a fork. Makes 8 servings. Braise your octopus as directed in the instructions above. Meanwhile, heat olive oil in a separate pot. Add the chopped onion, garlic, bay leaf, parsley and chili peppers. Cook until the onions are translucent. When the octopus is nearly tender place it in a plate reserving the cooking water. Cut the tentacles in bite size pieces and transfer to the onions. Add the rice and stir until all is combined. Mix in the tomato paste. Pour in about 4 and half cups of cooking broth. If you don’t have enough broth, add some water to make up the difference. Cover and bring to a boil. Reduce the heat to medium-low and cook the rice for 12 to 15 minutes until the rice is tender. Mix in the cilantro and serve. Makes 6 servings. If you have never tried quinoa, pronounced (keen-wa), it’s a wonderful whole grain that has a delicate nutty flavor and is easy to prepare. Quinoa is widely versatile and goes well with chicken, pork and fish. In a small skillet, toast chopped macadamia nuts on low heat for about 5 minutes, being careful not to burn them, then set them aside. Next, heat olive oil and sesame oil in a saucepan over medium heat. Stir in quinoa and allow to toast for 2 to 3 minutes, then add vegetable broth, soy sauce, ginger and garlic. Increase heat and bring to a boil. Cover and reduce heat to low. Simmer until all liquid has been absorbed, 25 to 30 minutes. Add dried pineapple and fluff quinoa with fork, cover and let sit 5 minutes. 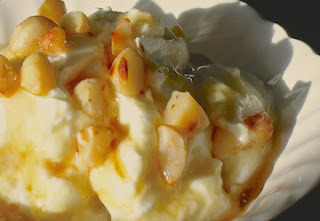 Serve hot, topped with green onions and toasted macadamia nuts. Makes 6 servings. This dish is not only beautiful to look at, but delicious. In ancient China, black rice was considered so superior and rare, it was reserved exclusively for the emperor and royalty. These days the grain, also known as forbidden rice, has become very popular with chefs and people seeking superior nutrition. You can find black rice at well-stocked markets like Whole Foods Market, Trader Joe's, or online. In a saucepan, bring the water to a boil with the rice. Cover and simmer over moderately low heat until tender, 45 minutes. In a medium skillet, cook the onion and garlic in the butter over moderate heat until softened. Stir in the rice, season with salt and pepper, cover and keep warm. In a large skillet, heat 1 tablespoon of the oil. Add the shrimp and 1/2 teaspoon of the rosemary; season with salt and pepper. Cook over moderate heat, turning once, until just pink; transfer to a plate. Add 1 tablespoon of the oil to the skillet; increase the heat to moderately high. Add half of the squid and 1/4 teaspoon of the rosemary; season with salt and pepper. Cook, turning once, until the squid is just firm, 1 minute; transfer to the plate. Repeat with the remaining squid, 1/2 tablespoon of oil and 1/4 teaspoon of rosemary. Add the wine to the skillet and cook for 1 minute, scraping up any browned bits from the bottom. 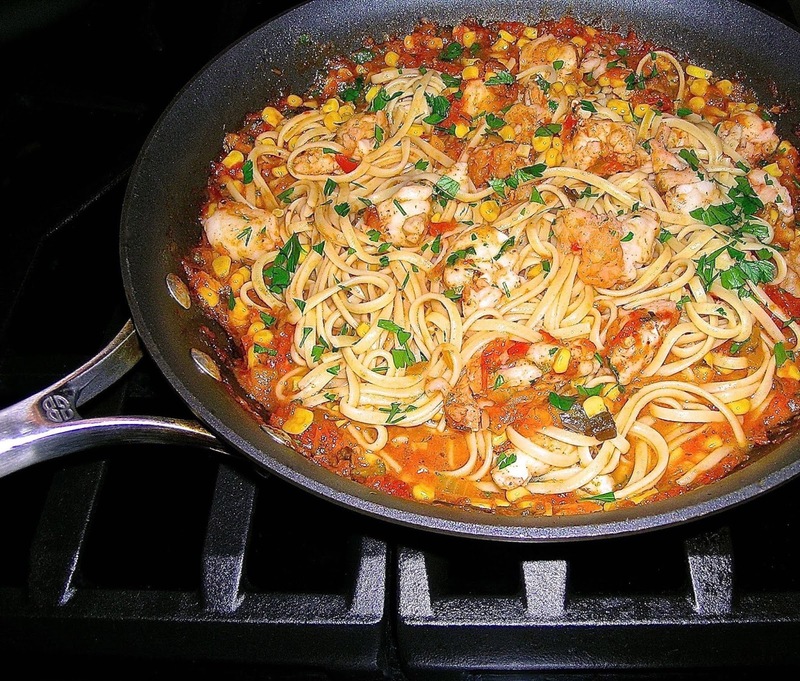 Stir in the tomato sauce and the seafood; cook just until heated through. Season with salt and pepper. Mound the rice on plates, top with the seafood and sauce and serve right away with an Avocado/Cucumber Salad with Celery. Makes 4 servings. Farro is a hearty grain that was a mainstay of the daily diet in ancient Rome. It has a nutty flavor and chewy texture, similar to barley. You can find farro in most Italian grocery stores, well-stocked markets, or online. Heat the oil in a large soup pot over medium heat until shimmering, about 2 minutes. Add the onion and measured salt and cook, stirring occasionally, until the onion has softened, about 8 minutes. Add the herbs and cook until fragrant, about 2 minutes. Add the broth and bring to a simmer, about 15 minutes. Once simmering, reduce the heat to low and continue simmering, covered, until the onion is soft, about 15 minutes more. Add the soaked farro and simmer, covered, for 10 minutes. Add the kobocha squash and simmer, covered, until the squash is quite soft, about 30 minutes. Use a potato masher to mash some of the squash so it dissolves into the soup. Other pieces should remain whole. Add the kale to the soup and simmer, covered, about 20 minutes more. Taste and season with more salt as needed and pepper. Serve hot, in warm bowls with crusty bread. Makes 6 servings. Since then, people have found the smaller cornish game hen to be a nice change from its larger 4 pound cousin, the chicken. 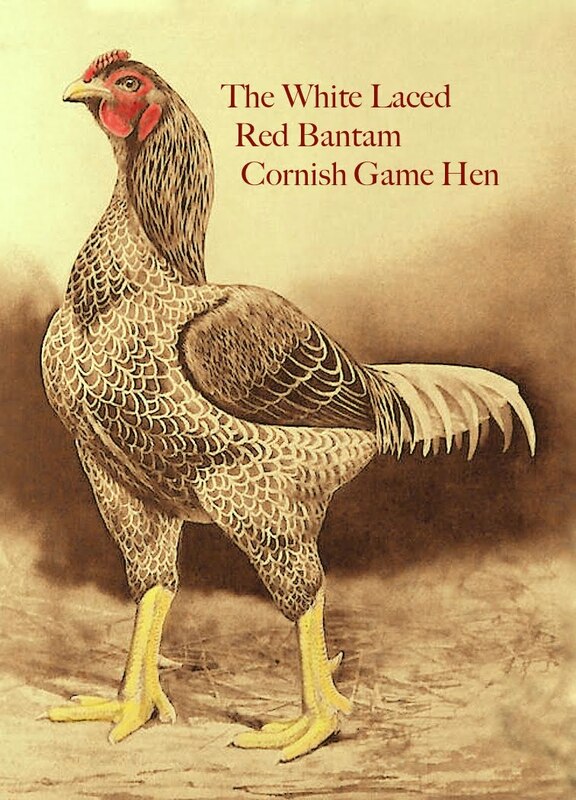 Today, millions of Cornish Game Hens are shipped all over the country, including Hawaii. Most of these hens are the White Laced Red Bantam Cornish Game Hen pictured above. It weighs only 1 1/2 to 2 pounds, which is the perfect size for two servings, unless your guests are really hungry. Add a couple of my side dishes and you've made a simple dinner really special. If you are going to prepare a Cornice Game Hen, then check out this website which shows you how to butterfly poultry known as "Spatchcocking". It's really very simple! Rub hens with 1 tablespoon of olive oil. Lightly season hens with salt and pepper. Place 1 lemon wedge and 1 sprig rosemary in cavity of each hen. Arrange in a large, heavy roasting pan, and arrange garlic cloves around hens. Roast in preheated oven for 25 minutes. Reduce oven temperature to 350˚F. In a mixing bowl, whisk together wine, chicken broth, and remaining 2 tablespoons of oil; pour over hens. Continue roasting about 25 minutes longer, or until hens are golden brown and juices run clear, or the thermometer registers 165°F in the thigh. Baste the hens with pan juices every 10 minutes. Transfer hens to a platter, pouring any cavity juices into the roasting pan. Tent hens with aluminum foil to keep warm. In a medium saucepan, combine cornstarch with water and add to the pan juices and garlic cloves. Boil and stir until liquids thicken to a sauce consistency, about 6 minutes. Cut hens in half lengthwise and arrange on plates. Spoon sauce and garlic around hens. Garnish with rosemary sprigs, and serve with Rosemary Mashed Potatoes and Pesto Carrots. Makes 4 servings. Set a rack in the center of the oven and heat the oven to 450°F. With a sharp knife or poultry shears, remove the backbones from the hens and slice through the breastbone, cutting the hens in half. Brush the skin of the hens with 2 teaspoons of the sesame oil and set them, skin side up, on a wire rack set in a rimmed baking sheet. Sprinkle the skin with 1/2 teaspoon salt and several grinds of pepper. Roast until the hens are almost cooked through (an instant-read thermometer inserted in the thickest part of the thigh should register 160°F), about 40 minutes. Meanwhile, heat the remaining 2 teaspoons sesame oil in a small saucepan over medium heat. Add the ginger and garlic and cook, stirring often, until soft and fragrant, 2 to 3 minutes. Stir in the preserves, honey, soy sauce, and lemon juice; bring to a boil and cook, stirring occasionally, until the mixture has thickened slightly, 4 to 5 minutes. Dissolve the cornstarch in 1 teaspoon water, add to the saucepan, and cook until the mixture thickens, another 1 minute. Brush the hens with the pineapple-ginger glaze and continue to roast until the glaze has browned in spots and the thermometer registers 165°F in the thigh, another 5 to 7 minutes. Season to taste with salt and pepper and serve immediately. Makes 4 servings. Season cornish game hen halves with salt and pepper. Dredge them in flour and shake off excess. In a large skillet over medium high heat, melt 2 tablespoons of butter with 3 tablespoons olive oil. When butter and oil start to sizzle, add the cornish game hen halves and cook for 3 or 4 minutes per side, turning them when they are browned. Remove and transfer to a plate. Into the same pan add the lemon juice, wine or stock and capers. Return to stove and bring to boil, scraping up brown bits from the pan for extra flavor. Check for seasoning. Return the cornish game hen halves to the pan and simmer for 5 minutes, spooning sauce over them. Remove game hen halves to platter. Add remaining 2 tablespoons butter to sauce and whisk vigorously. Pour sauce over game hens and garnish with parsley. Serve with Jasmine rice and steamed asparagus. Makes 2 servings. Set a rack in the center of the oven and heat the oven to 450°F. With a sharp knife or poultry shears, remove the backbones from the hens and slice through the breastbone, cutting the hens in half. Brush the skin of the hens with 2 teaspoons of the sesame oil and set them, skin side up, on a wire rack set in a rimmed baking sheet. Sprinkle the skin with 1/2 teaspoon salt and several grinds of pepper. Roast until the hens are almost cooked through (an instant-read thermometer inserted in the thickest part of the thigh should register 165°F), about 40 minutes. Meanwhile, to make the Teriyaki sauce, dissolve the cornstarch in 2 teaspoons water in a microwave-safe dish and mix, then combine all of the other sauce ingredients in the same dish. Cover with a piece of plastic wrap and poke holes in the plastic with a fork. Cook on HIGH (1200W) for 1 1/2 minutes. Take the sauce out of the microwave and stir a few minutes more, until it thickens. When the Hens are roasted, brush sauce over each half and continue cooking, about 8 more minutes, being careful not to burn the sauce. Remove from oven and sprinkle with toasted sesame seeds. Serve with Gingered Jasmine Rice and Bok Choy with Oyster Sauce. Makes 4 servings. Mix melted butter, garlic and mustard. Set aside. Mix Panko bread crumbs, Parmesan cheese, and parsley. Set aside. Coat cornish game hen halves in mustard sauce on both sides with a basting brush; sprinkle the tops only in crumb mixture to coat. Lay coated game hen halves in foil lined baking pan, crumb mixture side up, so they are not touching each other. Bake at 475°F for 25 minutes, or until the cornish game hen reaches 170˚F when tested with a meat thermometer. 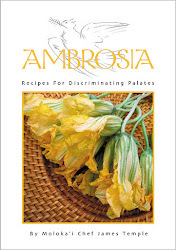 Serve with Pan Roasted Brussel Sprouts and Fresh Corn Pudding. Place game hen halves in large baking dish (9” x 13”). Season both sides with salt and pepper to taste. Place all remaining ingredients in a blender or food processor to blend a marinade. Rub marinade over game hens and cover with plastic wrap. Place in the refrigerator for at least 2 hours or up to overnight. Removed from refrigerator 30 minutes before grilling. Shake or wipe off excess marinade before grilling. Prepare grill with direct and indirect heat zones. Temperature should reach 350-400°F. Place game hens on the direct heat side and sear for 5 minutes on each side until skin is a nice crisp golden brown. Move the game hens to the indirect side of the grill and continue cooking another 20-25 minutes until the internal temperature has reached 165°F. Remove game hens from grill and let rest 5- 10 minutes before serving. Serve with Brown Sugar Baked Sweet Potatoes and Spicy Cucumber Salad with Garlic. Makes 4 servings. Note: You can watch Martha Stewart grill a whole cornish game hen by clicking here and how she deals with prepping the hen for the grill called "spatchcocking". It's a short video and worth watching. Smoking game hens is just another way to enjoy this little chicken, but first you need to brine the bird in a wet solution, refrigerated overnight. Some people don't think brining is necessary, but to me, brining not only brings flavor to the table, but it also helps to keep the bird juicy. There are many recipes for brining depending on the cook's taste. Click here for the basics of brining poultry. After brining, I use a stovetop smoker called a Cameron Smoker Cooker, which you can buy online from Amazon.com for about $54.99. I've had this wonderful smoker for many years, and it still works great. It does a good job of infusing small amounts of food with smoky flavor quickly, without having to fire up the outdoor grill, and it doesn't smoke up the kitchen. 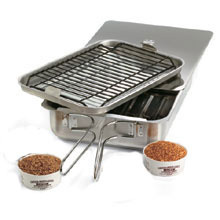 You can smoke other meats, like salmon using this same kitchen smoker. 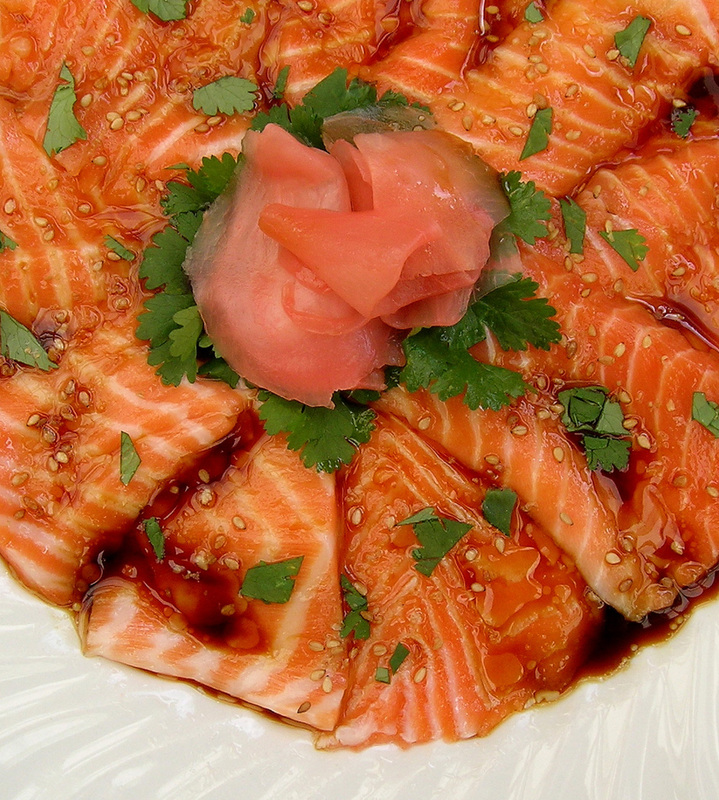 You can get my salmon recipe here. For a review of this little indoor smoker click here. Naturally, you can also cook the game hens on an outdoor grill or in an outdoor smoker. If you want to make your own smoker out of a wok, you might like this website. Naturally, the important thing is that the end result is delicious! Combine the brine ingredients in a pot and bring to a boil. Remove the brine from the heat and chill down to 40˚F. (to do this quickly, surround the pot with ice in a larger pot or your sink). Prepare the 2 game hens by cutting along each side of the backbone with a clean pair of kitchen shears, or sharp knife, removing it from the carcass. Push down on the breast to flatten it, then cut along either side of the breastbone. You should now have 4 servings. At this point you can remove the rib bones with a sharp knife, but it's not necessary. Place the 4 hen halves in two zip-lock freezer bags, or one if you can make them fit. Add the cooled brine and press bags to remove excess air and seal. Put in the refrigerator for 2 hours, no longer or it might be too salty. Be sure and turn the brine bag after one hour. Remove the birds from the brine and pat dry with paper towels. If you are not ready to cook at the end of the brining time, remove the hens from the brine, pat dry with paper towels, cover with plastic wrap, then refrigerate them. When you are ready to smoke the birds, coat them with olive oil to help keep them from drying out. The cooking process is two-fold. First we smoke the brined birds in a Cameron Smoker Cooker, on the stovetop, using 1 1/2 cups of applewood chips, on low heat for 25 minutes after it starts to smoke. Then we finish cooking them in the oven at 375˚F for another 20 minutes. The applewood wood chips give the game hens a wonderful smoky applewood flavor on top of the flavor of the brine. It's a winner. Serve the game hens with wild rice topped with crimini mushrooms sautéed in butter (which can be made the day before), and a nice salad. Makes 4 servings. 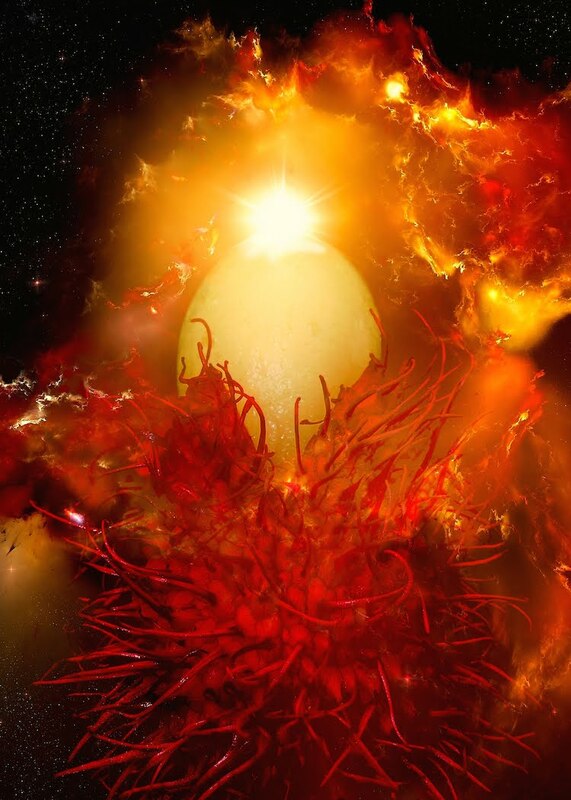 There are many strange looking tropical fruits available in Hawaii, but rambutan has to be one of the strangest, enough to inspire me to create the image above. I get carried away sometimes. 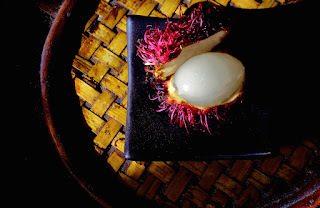 Rambutan is a small red walnut sized fruit, covered with pliable spines. Inside of the leathery, spiny outer skin is an oval shaped, translucent, whitish-pink fruit, with a sweet, mildly acidic flavor very reminiscent of grapes. Inside of the fleshy fruit is a large seed. The rambutan is part of the Sapindaceae family and is native to Malaysia and Indonesia, however Thailand is now the largest producer in the world. 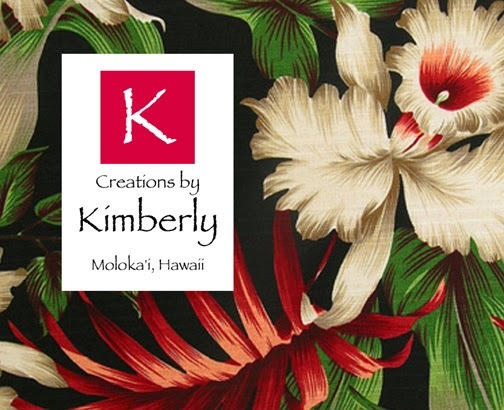 In 1997 Hawaii's top 3 tropical fruits included rambutan. 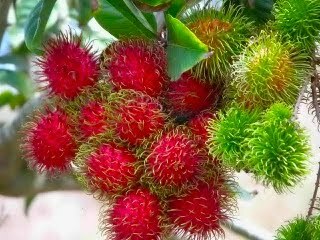 The name 'rambutan' is derived from the Malay-Indonesian languages word "rambut" or "hair". The fruit is related to a lychee, and grows on a tree that reaches 10-20 feet in height. When buying rambutan, look for red shells which often have greenish tips even when they are fully ripe. If the fruit looks dry or with dark splotches, it is old and past its prime. Rambutans don't stay at their peak condition for very long even when refrigerated. They should be consumed righ away. This is because, once picked, rambutans do not ripen any further; they just rot. Once opened, the rambutan should not be excessively juicy. The taste of the flesh should be sweet with no hint of fermented sourness, which is an indication that the fruit is old. The rambutan is called a super fruit because it has many nutritional benefits containing an excellent source of vitamins and minerals like Vitamin C, Potassium, Vitamin A, Zinc, Manganese, Magnesium, Calcium, Iron, Protein, Fiber, and Phosphorus. It's a great addition to a healthy diet. Read more about the health benefits here. Rambutans are best eaten fresh out of hand. You can also slice up the flesh and turn it into ice creams, sorbets, or gelatos. You should be able to find rambutan in Asian markets in most areas of the U.S.. Their season seems to vary, depending on where they're grown, however, rambutan trees usually bear fruit twice annually, once in the late fall and early winter. It's January here in Hawaii and I was able to get them at the Moloka'i Saturday Farmer's Market. If you want to try and grow your own rambutan tree from seed, check out this interesting site. This is a must-try martini recipe, no matter what planet you're from. Take a lime wedge and run it along the edge of the two martini glasses, to moisten it. Combine the sugar, ginger and lime zest, and put the mixture on a small plate. Dip the rim of each glass into the sugar, ginger and lime mixture, so the rim of each glass is coated. Put the glasses back into the freezer. Make a simple syrup out of the sugar and water by heating them in the microwave for 30 second or so until the sugar has dissolved, then cool in the freezer. Meanwhile, peel and pit the rambutans with a small knife, discarding the peel and pit. Cut one of the peeled rambutans into quarters and put aside for garnish. Put the rest of the ingredients into a blender, and blend for about half a minute. Strain the rambutini cocktail into the two frozen martini glasses, adding two quarters of the reserved rambutan flesh to the center of each cocktail. That's it! Makes 2 Rambutinis. What lives in a murky environment at the bottom of the sea, has 10 walking legs, blue blood, and does not slow down, weaken, or lose fertility with age? As a matter of fact, it gains fertility with age. This omnivore is a cousin of the cockroach, frequently sheds its skin and then eats it, and will resort to cannibalism of its own species if it gets hungry enough. OK... give up? It's my first wife! Just kidding, it's the lobster (you cheated and peaked at the photo). It seems that prior to the mid-19th century, lobster was considered a mark of poverty and were only fed to indentured servants, lower members of society, and prisoners. The main use of lobster at that time was for fertilizer or fish bait. Boy have things changed. 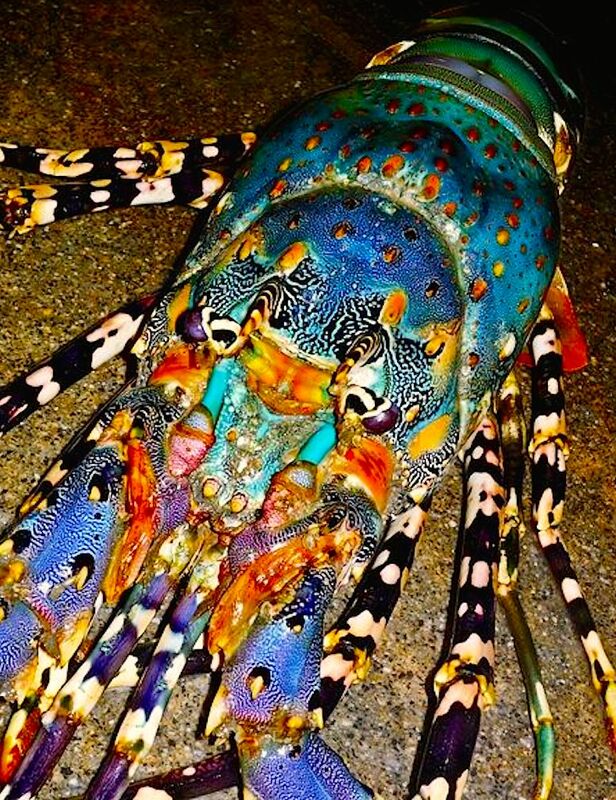 The Hawaiian lobster is known locally as "ula", and is endemic to Hawaii. The species itself is highly protected, as are all the animals in Hawaii, and it will be quite difficult to attain one. Any commercial gathering is currently illegal; only hand-caught ula over certain lengths are legal. 2 pound farm raised live lobster will cost you $30, plus shipping from the Big Island's Kona Cold Lobsters Ltd. That's a lot to pay for this cousin of a cockroach. Regardless of the price, this former bug has grown to be one of the most popular luxury food items in the world. So if you spend all that money for lobster, you now have to cook it, and you sure don't want to mess that up now that you have mortgaged your house to buy them. That's why I'm here! There are lots of ways to cook these spiny little bugs, depending on the occasion. Lobster can be served as an appetizer, in soup, salad, or as a main course. I've even heard of lobster cheesecake, Yep! Then you have to figure out what else to serve with your lobster meal, although just melted butter, sliced lemon, a small fork and a nutcracker suits me fine. Why clutter this beautiful flavor up with side dishes, but that's just me. At the very least you need to prepare and serve this crustacean as if it is the main event at your table. Don't hide it in pasta or sauce, display it. This is show biz I'm talking about here. 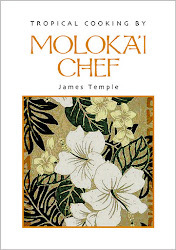 The first thing to know is that their are many ways to cook a lobster, boiled, steamed, grilled, sautéed, baked, etc., lobster can also be eaten raw (as lobster sashimi, or carpaccio, served with micro greens and a soy yuzu dressing) however if eaten raw it must be very fresh and preferably alive before serving. Many of the lobster tutorials I’ve seen suggest killing the lobster first before boiling or steaming it, and I consider this a more humane method of cooking them. Basically, you put the tip of a knife in the “cross” on the top of the body behind the eyes, and in one quick motion slice downwards through the head, splitting it in two. This will also allow you to remove the rubber bands on the claws, with less chance of getting hurt, and so long as you cook the lobsters right away there is no deterioration in the quality of the meat. One of my favorite ways of cooking lobster is to steam them rather than boil them. If you boil lobster, you are losing flavor. The lobster should be steamed in a large pot with about 1″ of salted water with a steam rack on the pot bottom to keep the lobster out of the water. By steaming you not only get more tender meat but it preserves the natural juices already in the shell for a tastier more succulent experience. Generally you cook a 1 pound lobster for about 8 minutes, 10 minutes for a 1.5 pound lobster, and 12 minutes for a 2 pound lobster. You are looking for lobster meat that is still firm but still moist. If you are cooking a lobster with claws, they take longer to cook than the body because the shell is thicker on the claw. After the whole lobster is cooked to the appropriate time, remove the claws and cook for an additional 5 minutes. This is an easy, and beautiful way to prepare lobster tails, poached in a butter sauce and served with garlic and fresh tomatoes served over pasta. If you are using lobster tails: Thaw the lobsters in the refrigerator. Using sharp kitchen shears, cut the shell of the lobster all the way down its back. Turn it over and cut bottom shell all the way down. Peel off shell and remove meat. Repeat this process with the other tail. If using a live whole lobster - steam it in a large pot with 1-inch of salted water with a rack in it (so the lobster doesn't touch the water). After 3 minutes of steaming, remove all lobster meat from shell when cooled and cut into large chunks. Bring salted pasta water to a boil and prepare linguini pasta according to package directions. Keeping the heat on medium-low, add the lobster pieces and cook for 5 minutes, turning the lobster pieces every minute or so. Make sure mixture does not boil. Remove lobster pieces and set aside. In the same saucepan, turn the heat up just a bit, add the garlic and shallots. When fragrant, add the tomatoes and corn. Cook for just a couple of minutes until the tomatoes have released some of the juices. I like to gently smash the tomatoes a bit so more juice comes out. Put the cooked pasta in bowls and top with the lobster pieces. Spoon tomatoes over the lobster and sprinkle with chopped parsley and grated Parmesan cheese. Serve immediately. Makes 2 servings. Note: You can freeze the lobster shells, just like shrimp shells, and use them later to make a stock for preparing lobster bisque, or lobster bouillabaisse. Fill a large pot half-way with water and bring to a boil over high heat. Once boiling, add the lobster tails and boil for 8 minutes, or until the shells are bright red and the flesh is opaque. Remove the lobster from the boiling water and allow to cool. Reserve the water – this will become your lobster base. Heat the olive oil in a sauce pan over medium-high heat. Add the shallots and onion and saute until tender, about 5-6 minutes. Add the garlic and cook for an additional 1-2 minutes, until the garlic becomes fragrant. To make the lobster base, remove the lobster from the shell either by cutting through the shell with kitchen shears (my preferred method) or chopping in half and pulling out the flesh. Place the lobster on a cutting board and, after removing any remaining veins, chop into bite-size pieces. Throw the shells back in the water you just boiled the lobster in and boil for another 10 minutes. After 10 minutes, strain the water from the shells using a fine mesh strainer, reserving 1 1/2 cups of the base. Add the flour to the onion-shallot-garlic mixture and stir to combine. Cook for 2 minutes. Slowly add the wine, taking care to slowly incorporate the wine into the thickened mixture. Once mixed in and smooth, add the Worcestershire sauce, Tabasco, salt, pepper and thyme. Cook for 1-2 minutes until this mixture becomes a thick paste. Slowly add the sherry and deglaze the pan if any bits are sticking to the pan at this time. Add the paprika, tomato paste and lobster base and stir to combine well. Simmer, uncovered, for 10 minutes. Blend the mixture in a blender or using an immersion blender. The mixture should be very smooth. Return the blended mixture to the pan and add in the heavy cream and butter. Taste at this time to check if any additional salt or pepper is needed. Bring the mixture to a simmer. Once simmering, add the lobster chunks back in and cook until heated though. Serve hot and with crusty bread. Makes 4 servings. This recipe was given to me by my photographer friend Marty Saccone, long time resident of Lubec, Maine. This is his favorite way to have lobster, his mother's recipe. Thanks Marty for your Mom's recipe! 1 1/4 to 1 1/2 pound fresh live Maine lobster (tail should be flipping as you handle it. Spread open the underside of the lobster and remove the tamale (a green fleshy tubular substance found in the head that resembles a 2 to 3 inch braided rope) rinse and set tamale aside. Rinse clean the entire inside of the lobster discarding all remaining waste. Set lobster, split side up, in a baking pan. In a mixing bowl, combine bread crumbs, parsley, onions, tamale, salt and pepper. Melt the butter in a saucepan then add the Worstershire sauce. Pour that over the bread crumb mixture and mix thoroughly (be sure to mash the tamale into the crumb mixture) till the mixture is evenly dry/moist,..."not mushy". At this point you can add more or less melted butter/crumbs (or water to achieve the desired moistness) depending on how much butter your comfortable consuming. With a spoon, fill the entire split lobster underside with your crumb mix, I heap it on it's so delicious when done. Crack the lobster claws slightly with a claw cracker, and place them alongside the stuffed lobster in the pan. Bake uncovered in a pre-heated oven at 350˚F for 20 to 25 minites. I like the stuffing browned n' toasted on the outside. The kitchen now smells delicious.....if not,...go outside,...breath in fresh air to clear your sinuses,....and return to the kitchen. Serve lobster hot and garnish with parsley and a wedge of fresh lemon along side. Freshly melted butter can be used to dip lobster meat as you remove it from the shell. This stuffing is soooooo good IMHO, that you will eat it, and push the lobster aside, not really but almost. This time of year people are making New Years Resolutions by going on a diet. Unfortunately healthy eating habits can be challenging to maintain with our modern lifestyle, which can generate feelings of stress that can disrupt our good intentions, which in turn can affect mood. Health guidelines would have us believe that eating well is primarily about nutrition, and that nutrition is the foundation of a healthy body and mind. Eating well is primarily about preparing the right food for how you happen to be feeling, a tool that makes a direct connection between how we feel and what we eat. There's more and more research indicating that, in some ways, diet may influence mood. It seems that dietary changes can bring about changes in our brain structure (chemically and physiologically), which can lead to altered behavior. Eat a Balanced Breakfast. Simply skipping breakfast is associated with lower fluency and problem-solving ability, along with lack of energy and motivation. Eating breakfast regularly leads to improved mood, according to some researchers – along with better memory, more energy throughout the day, and feelings of calmness. It stands to reason that skipping breakfast would do the opposite, leading to fatigue and anxiety. And what makes up a good breakfast? Lots of fiber and nutrients, some lean protein, good fats, and whole-grain carbohydrates. Eat good sources of protein. These include eggs, nuts, fish, whole grain quinoa, yogurt or cheese. Protein consists of amino acids, the building blocks of neurotransmitters. Protein also helps stabilize blood sugar, which can interfere with concentration and mood when elevated (hyperglycemia). Avoid high-sugar foods or refined carbohydrates, such as bagels, doughnuts, and other refined grain products, and make sure cereals are truly whole grain (preferably organic), like oatmeal. It's important to make smart carbohydrate choices like whole grains, vegetables, and legumes, which also contribute important nutrients and fiber. Generally, try to eat whole fruit rather than drink fruit juice, as the fiber in the fruit will help slow down absorption of sugars in the fruit as well as be more filling. So what happens when you follow a very low carbohydrate diet? According to researchers from Arizona State University, a very low carbohydrate (ketogenic) diet was found to enhance fatigue and reduce the desire to exercise in overweight adults after just two weeks. I knew there was a reason why I like carbohydrates. Mashed potatoes... YES! Eat at least 6 servings of vegetables and 2 servings of fruit every day. Try to get all of the colors of the rainbow. One serving = 1/2 cup. Mind your dietary fats: Found in both plant and animal foods, these play a significant role in brain function. Omega-3 fats from foods such as fish, flax seeds, walnuts, some eggs, and grass-fed beef have been shown to improve cognitive function and lower depression by reducing inflammation. Excessively low-fat diets, as well as diets high in processed foods, are linked to mood changes. Choose beverages wisely: Drink plenty of filtered water to improve blood flow and keep your brain well-hydrated. Avoid sugary drinks or those with artificial sweeteners, colors, flavors, or preservatives. Limit or avoid alcohol, and limit coffee intake. Green tea has been shown to reduce anxiety and sharpen mental focus while relaxing the mind. Vitamins are key: Take a high quality, natural vitamin and mineral supplement daily. Many of the B vitamins such as B1 (thiamin), B2 (riboflavin), B6 (pyridoxine), folate, and B12 (methylcobalamin) have been shown to reduce the incidence of depression. Low levels of Vitamin D3 increase one’s risk of major depression. Also, low levels of magnesium, selenium, and zinc are linked to mood changes. Snack well: Pack healthy snacks such as nuts, fresh or dried fruit, and veggies to keep your blood sugar stable and give you energy. 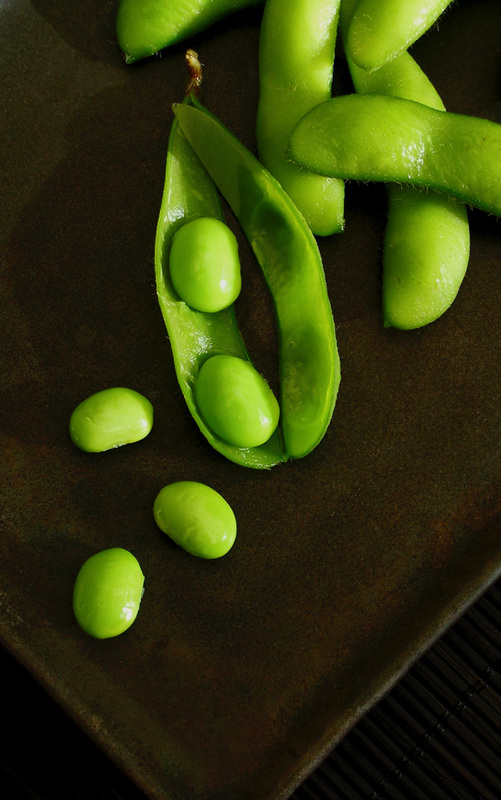 One of my favorite snacks is edamame (soy beans). It's low in calories and fat, but packed with protein and fiber. Diets: If you have to go on a diet, I suggest choosing the Mediterranean diet. It includes plenty of fruits, nuts, vegetables, cereals, legumes, and fish – all of which are important sources of nutrients linked to preventing depression. With the Mediterranean diet, you won't be counting calories or cutting out major food groups. Instead, you'll be swapping out bad fats for heart-healthy ones (olive oil instead of butter; fish or poultry instead of red meat); enjoying fresh fruit instead of sugary, fancy desserts; and eating your fill of flavorful veggies and beans. Nuts are a mainstay, too, but keep them to no more than a handful a day. And you can have whole-grain bread and wine in moderation. Ah yes, moderation. People need to think about moderation all the time. Weight loss involves adjusting lifestyle, diet and calorie intake, while overcoming the psychological barriers too. It's all about FOOD & MOOD! Remember only you are in charge of how you feel, so today choose to be healthier and happier!" "9 Simple Things You Can Do to Be a Happier, Healthier Person"